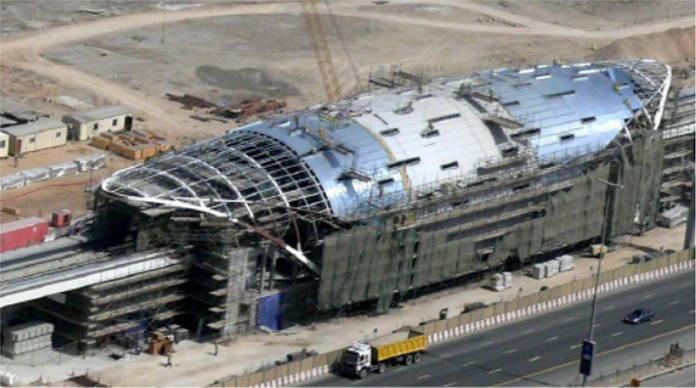 To ensure zero risk during the construction process, the company offers a comprehensive range of sensors with an advanced database management setup. The monitoring system manually and automatically facilitates monitoring of sub-surface and surface parameters like stress, strain, load, piezometric pressure, water level, lateral deformation, joint meter, settlement, convergence, tilt etc. The monitored data is constantly shared with the contractor and consultants. The data is provided online or through evaluation reports. This expedites work in the safe zones and helps take corrective actions where there is a possibility of risks. To ensure safety of existing buildings and infrastructures, structural health monitoring includes sensors, automatic surveying, laser scanning etc. the company aims to assist and keep owners/designers/contractors/architects informed about the continued performance of structures under gradual or sudden changes to their state. The Encardio-rite group has great expertise in this field, and has executed a number of projects in Gulf countries and in other countries across the world. Tunnel excavation has an inevitable association with ground loss, and high-pressure conditions that, in turn, result in associated ground movement. Therefore, it is empirical to closely monitor the tunnel boring machine (TBM) parameters during the tunneling process, especially in urban areas. 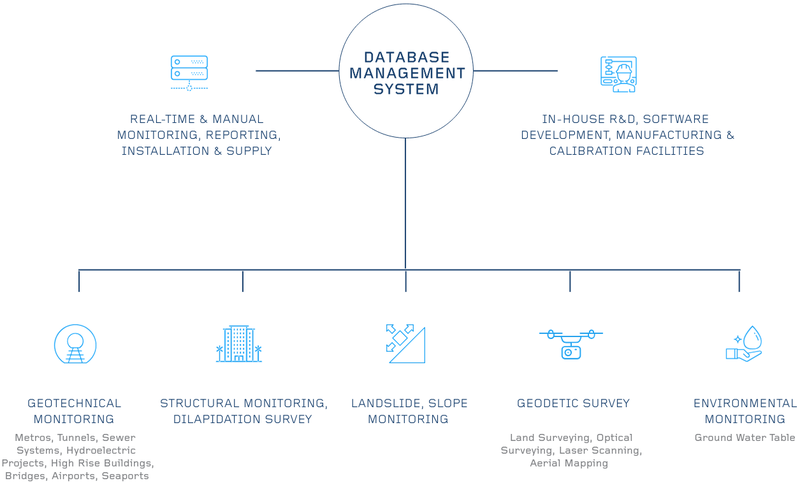 With a specially designed advanced software, essential parameters from the TBM can be integrated with the geotechnical monitoring, survey and geophysical data to provide essential correlations. Geodetic monitoring doesn’t cost as much and hence is commonly preferred over other methods in all projects. The company provides manual and automatic monitoring solutions. If used judiciously with geotechnical instrumentation, geodetic monitoring provides co-related data, which is extensively used in civil construction and structural monitoring. It is a method to automatically monitor and collect the data in real time with 3D surface coordinates of an object in a normal grid. 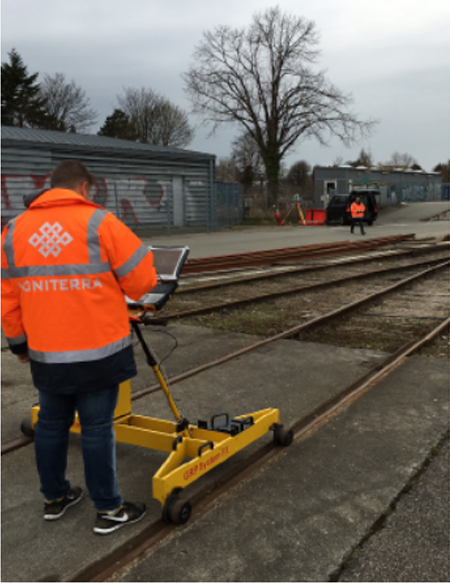 Laser scanning is a rapid and reliable surveying method as it collects the data in a static, stop and go or kinematic mode. From the point where a cloud is produced, the exported section profiles can be used to monitor deformations or displacements. 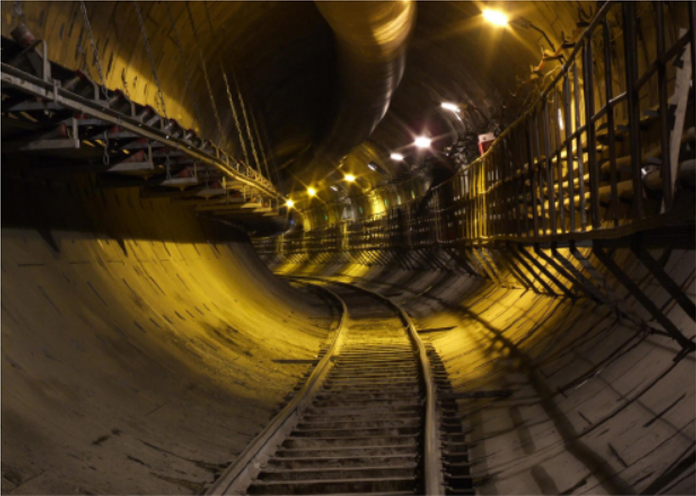 Although these are mainly used in tunnels, they can also be used in structures, landslides and rock-fall areas. It is a systematic measurement and monitoring of changes in the shape or dimensions of any structure. 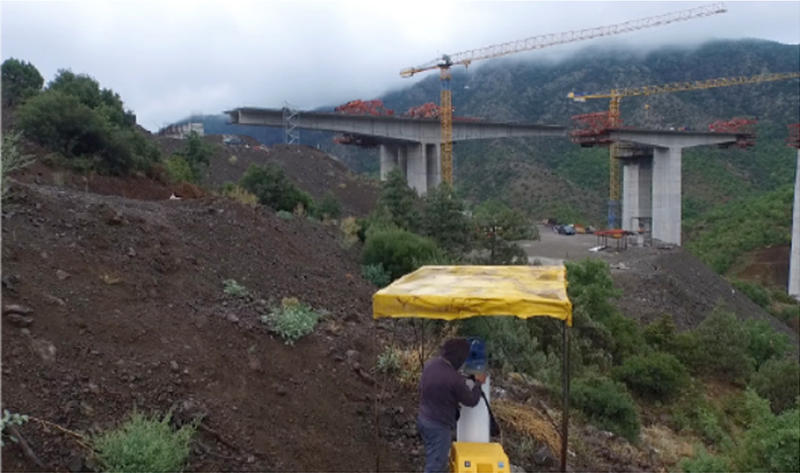 The monitoring procedure includes applied topography and geo-mechanics and is directly related to civil engineering, mechanical engineering and rock mechanics. It is useful in application areas like dams, roads, tunnels, bridges and overpasses, multi-storey and historical buildings, foundations, mining – exploitation, landslides and sloping and in earthquake prone regions. 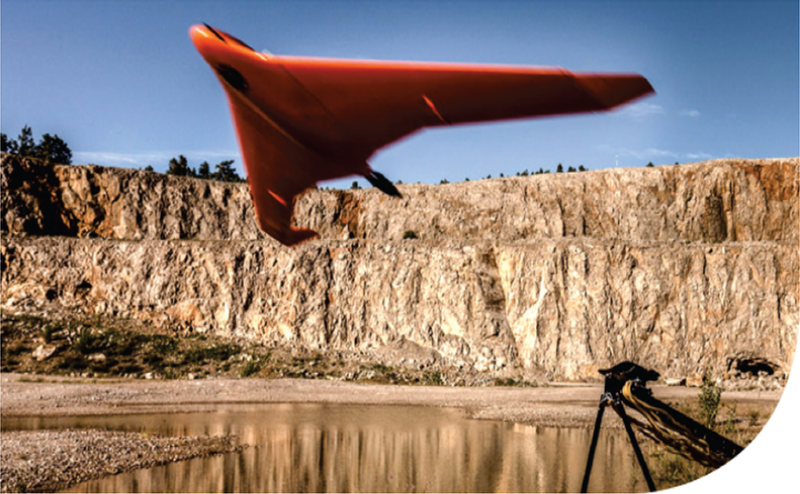 UAVs (Unmanned Aerial Vehicles) are the latest trend in geodesy’s technology for aerial mapping. 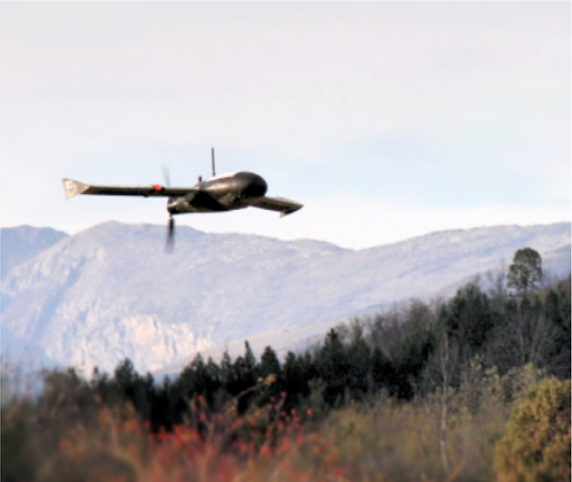 Unmanned and remotely piloted aircrafts that follow a pre-programmed path for takeoff, flight and landing are equipped with HD/IR/thermal cameras that compute aerial images and videos over a defined area at a specified height. 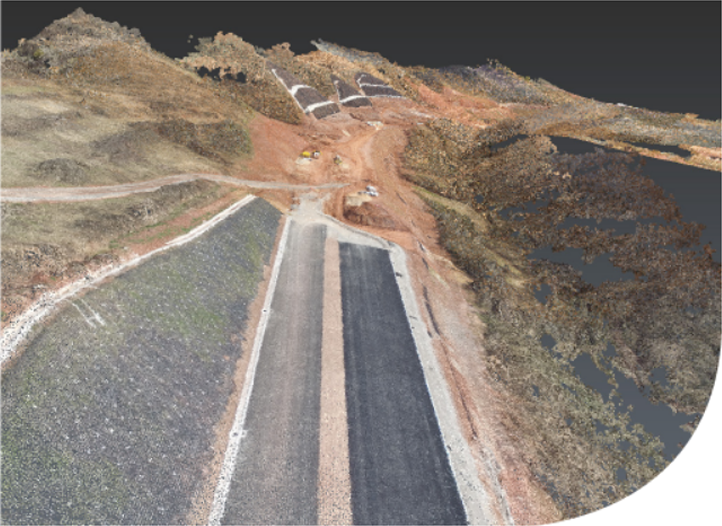 The mesh modelling of 3D point cloud using UAV mapping produces precise data points to compare sequel monitoring flights. This is a much faster, most accurate and low cost way to monitor the progress of any large scale project, where frequent geospatial and/or imaging information is required to monitor earthmoving or merely the progress of a running project. Reliable and efficient transport infrastructure needs comprehensive asset management, reliable quality control in the construction process and knowledge of the condition and requirements of the rail network. To-the-millimeter accuracy is vital during track installation. The company’s mission is to offer reliable surveying technologies with a guarantee of precision during the construction process. With experience since 2007 in the field, these goals are achieved by giving fast and accurate surveying services. This leads to timely delivery, high quality and cost-effective results.